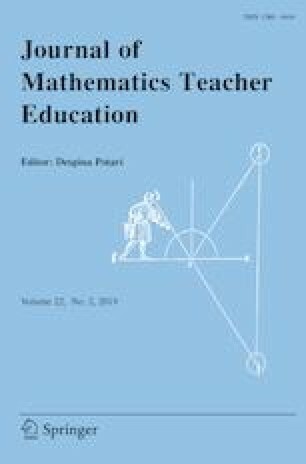 In this study, we specify teacher’s knowledge and beliefs that influence their enactment of mathematics tasks. The use of tasks in lessons requires teachers to consider students’ mathematical thinking and to know how to effectively implement tasks. Among the many aspects of teachers’ understanding of students and ability to implement tasks for learning, this study focuses on teachers’ knowledge and beliefs of students’ prior knowledge and the potential to develop new knowledge while solving mathematical tasks; we exemplify these knowledge and beliefs through the practices of three Algebra I teachers. Three distinct conceptions of prior knowledge and two conceptions of the potential of a task emerged. From combinations of these conceptions, we defined three types of teaching. Two types of teaching reduced potential new knowledge to the prior context, whereas one type of teaching promoted prior knowledge to develop new knowledge. In particular, the type of teaching we call “reviewing” explains why teachers repeat the way they taught a concept the first time. Our study suggests that it is important for teachers to conceive students’ prior knowledge as the knowledge to be developed and the task as having potential for developing new knowledge in order to teach for coherence. Common Core State Standards Initiative (CCSSI). 2010 Common core state standards for mathematics. Retrieved December 10, 2015, from http://www.corestandards.org/wp-content/uploads/Math_Standards.pdf.